Son Little, a.k.a. Aaron Livingston, has put his personal spin on Drake’s “Hotline Bling.” The results deliver a soulful aching approach as Livingston’s wandering guitar licks and vocals meld, turning the lyrics inward. The drafty resonance shifts the tempo in a personal direction. 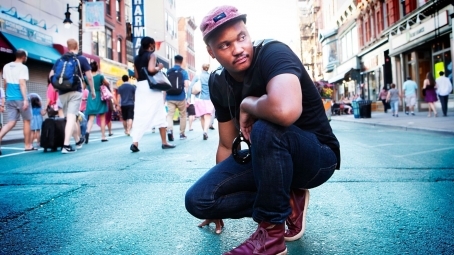 Son Little is set to perform at Johnny Brenda’s on Friday, November 13 on a bill that also includes Xenia Rubinos.